this might take a few minutes, depending on how many pages and images your website has. Why does your website need an image sitemap? 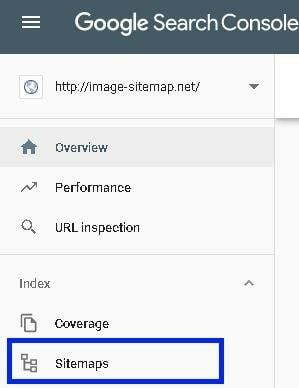 A sitemap helps google crawl all of your pages and index them faster. The same applies to images. It takes time for google to crawl and index images, and even if google will index some of them, it might miss a few. An image sitemap will help google crawlers go through your images faster so the could appear in search results. 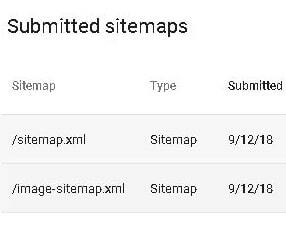 Generate a sitemap file and upload it to your website root folder. Log in to your google search console account and verify your site. 2. under add a new sitemap type your sitemap file name. 3. after submission you could see your files in the section below. search console will provide you with various information about your files like coverage, errors and more. your use of this site is subjected to these terms. Format like: email@domain.com without spaces. Supported image formats: jpg, jpeg, gif, png, svg. for pages that make use of image lazy loading, the data-src attribute will be inserted into the sitemap as the image location. For responsive webpages that present the image source according to the viewport. The srcset attribute from the <source> tag will be inserted as the image location. Up to 5000 images per sitemap. The generated sitemaps files and data will be stored on our servers, and might be used for our internal statistic reports. this data will not be transferred to any third party. Image-sitemap.net is a google adsense publisher. this website makes use of third party or first party cookies in order to adapt the ads that are being presented to you, based on your visits in this site and on previous visits on other sites. these cookies are stored in your browser and may be associated with the doubleclick.net or country-specific Google domains such as google.com. Google may collect data about your browsing habbits. this site uses google Remarketing feature, which helps us deliver optimized ads according to your previous visits on this website. both google adsens and analytics might make use of your IP address in order to generate statistic reports. In firefox: Open options menu, than go to Privacy & Security tab. under cookies and site data - select "Block cookies and site data". In chrome: Open settings menu, click advanced. under Privacy and Security check the option "Send a "Do Not Track" request with your browsing traffic". than click Content settings, select Cookies. and uncheck "Allow sites to save and read cookie data". also check the option "Block third party cookies".